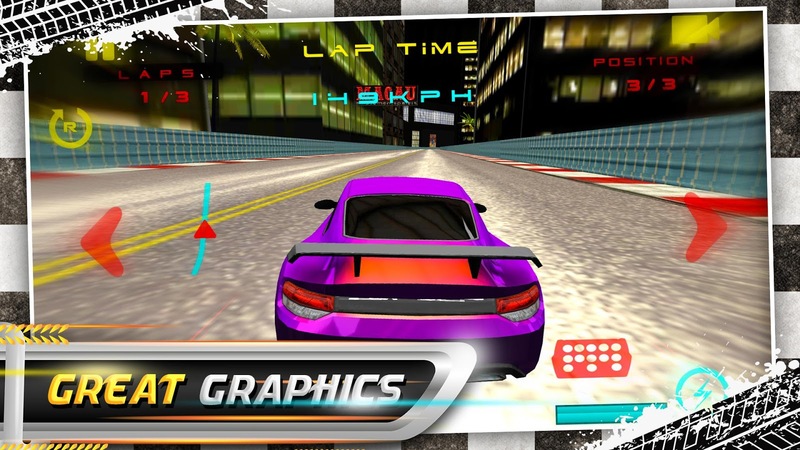 Racing is one of the genres that many people assume works best on a console or PC with a joypad – or a wheel peripheral if you’re feeling flash. Yet plenty of developers have been taking the genre to mobile devices too. Some draw heavily on their console heritage, while others have tried to reinvent the category for touchscreen controls and shorter, mobile-friendly sessions. Today we have great news for all of you seekers of high-quality racing games if you are desperate for an exciting gaming experience with a difference. Namely, we talk about 3D Furious Real Racing – Crazy Ride game carefully designed with astonishing graphics, powerful and vibrant sound effects and highly addicting game play. Just on a start you can choose one of +10 insane car models or create your own super beast in garage mode by customizing the acceleration, nitro and handling, which can be quite interesting and fun. There are 7 different modes in which you can take your race (depending on your wishes and desires) or take a ride in the 4 seasons of different impressive circuits. However, if you are a fan of this genre of games that be sure that will give you hours of incredible entertainment and enjoyment. Check it out and download it for free on Google Play Store. Now let’s have some epic ride!